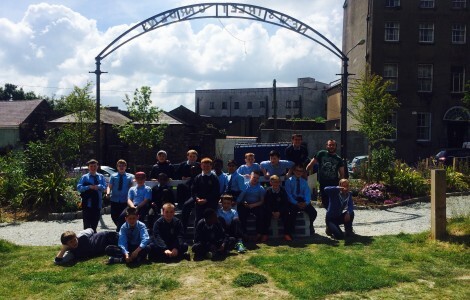 This year we have 21 bright and talented boys in 4th class. You will usually find us in Room 22. If you don’t find us here, we will be out and about actively learning and extending our classroom to the wider community. In our class you will meet some very interesting young men. I am very proud of each and everyone of them. They have many different talents and skills. Watch this spot! Bio: Hello, My name is Catherine. I completed my Bachelor of Education and qualified as a teacher in 2007. I am very proud to work in Mount Sion Primary School. I have been working in our school for nearly 10 years and enjoy my job immensely. I started my teaching career in Senior Infants in Room 6. I have been very fortunate and have had the pleasure of teaching Junior Infants,2nd Class, 4th class, 5th Class and 6th class also. Mount Sion is a very special place. Please take a look at our website and see for yourself. Today we went down to the New Street gardens.We learned about plants and horticulture. We planted tomatoes and herbs. - Ed Lambert . Here are the wonderful costumes in room 21. Ms Whelan is very proud of all the boys. Well done to all and thanks to the families of our pupils for making such an effort. What a day! 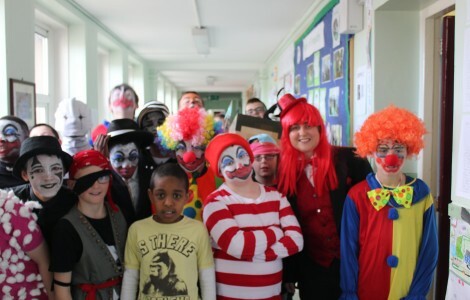 The pupils, staff and friends of Mount Sion were out in force. 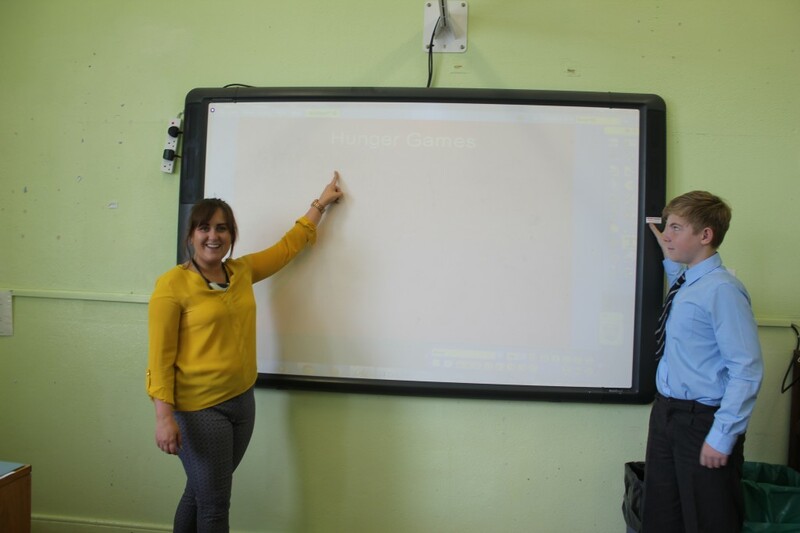 The city of Waterford had a taste of how much fun it is to learn in Mount Sion. We had farm animals, crayons, surgeons, minions, book characters, circus folk, boys in the hood and even a pyjama party. 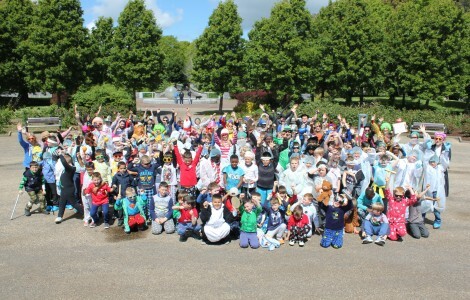 Can you spot our staff in the photos? 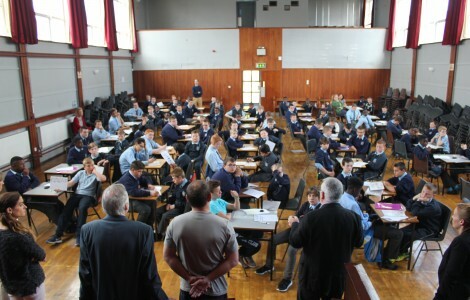 5th class in Mount Sion finished their Paired Science Programme with a bang in our hall. We had 90 students learning together. This is a fantastic way for our boys to learn. Thanks to all involved and a special thanks to our guest Liam for speaking to us about how he lives with MS.
Room 21 had a fabulous tour of Genzyme. We learned so much from the people working there. We got to speak in a board room and we got to see all of the amazing labs and warehouses. 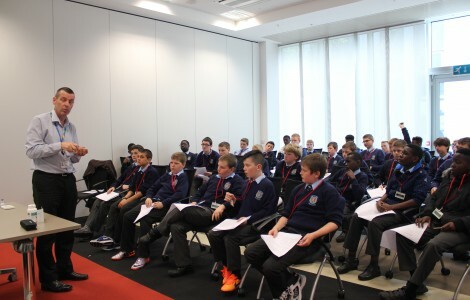 Thanks to Mount Sion Secondary and Genzyme for giving us this opportunity. Celebrating The Feast Day Of Blessed Edmund Rice. 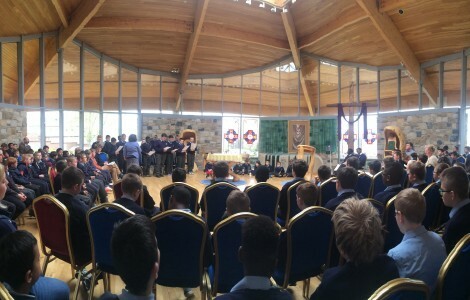 The pupils from 2nd class to 6th class celebrated The Feast Day of Blessed Edmund Rice. Click read more to see our photo story.